If you are a proponent of prayer in school, but never pray at home or with your children, don’t talk to me. If you believe the bible should be taught in school, but never read the bible at home, don’t talk to me. If you think the bible should be the guiding principles in our country, but you never apply timeless biblical principles to your own life, or that of your children’s’ lives, don’t talk to me. You have heard it said, “some talk the talk, but don’t walk the walk.” This directly applies here. If you have a bumper sticker that says “Abortion kills! What part of kill don’t you understand?” your ability to be a loving and caring Christ-like example to an unwed pregnant girl, could be in question. If you have a Christian fish on your car, and then speed through a parking lot while honking wildly at the elderly lady trying to park her vehicle, lose the fish! We live in a culture that easily disconnects their actions and words from what they proclaim to believe! It’s easy for all of us to talk more than we listen. Not only is this true of us individually, but it is also true of our political representation. Unfortunately, we are very keen on pointing out this shortcoming when it comes to our elected officials, but much less likely to see the truth of it in our own lives. Finally, it is especially sad and misleading when Christians choose to talk a talk that they just don’t walk. So back to the beginning of this messy blog. Issues like prayer in school, teaching from the bible, and the public display of the Ten commandments are all issues that in the last 20 or so years have often been at the forefront of town hall meetings, school board agendas and congressional lobbying. 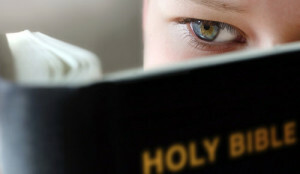 Many well-meaning and well-intentioned Christians have carried the torch on such issues as getting prayer back in school, creationism taught in the science curriculum and often feel insulted when they feel like Christianity is not accommodated either in politics or policy, or in the public venue in a way they think it should be. We have an organization/club at our junior high called “Cats for Christ.” This group conducts seemingly wonderful events like public “prayer at the flag pole.” My girls (the two who attended this school) never chose to participate in this club in spite of their own Christian faith. We were discussing it one day, and they were very frank in saying, “the kids we know who are members of this group,” commonly drop expletives in the hallways, treat others rudely, and have a general display of behavior that is absolutely contrary to the principles outlined in “Cats for Christ!” Of course no one is perfect, but consistent patterns of negative behavior with no appearance of regret or apology-let’s face it-probably isn’t who you want representing an organization that is supposed to point people to Christ, NOT confuse his message and mar his image. But maybe a fresh look at real statistics of Christian adults and parents, might shed some light on why the actions of Christian junior high students in this particular situation IS what it is. One “Bible Engagement” study of 2900 Protestant Christians, revealed that 90% of those polled, “desire to please God,” but only a mere 19% of them actually admit to reading the bible daily or with any regularity whatsoever. (Christianity Today 9/7/2012). Another similar study concluded that of over 2 billion confessing Christians in this world, less than 30% will ever read through the entire bible. “The fact is over 82% of Christian Americans only read their bibles while in church on Sunday.” (Ponce Foundation 2013) And since in my own church on Sundays, I virtually never see a single parishioner carrying a bible, I am assuming that latter statement means they are either reading the bible from their electronic device in church (great resource) or (what is more likely), they are reading the scriptures on the projection screen referenced there by the pastor. Another poll of Christians (evangelical and otherwise) reports on average, annual giving of only 2.4% of their income to the church! Some quick and simple math of my own family finances, revealed that just our monthly cable/internet and telephone/cell phones total about 2% of our income. Throw in a few coffee shop splurges, discretionary spending on entertainment and extra curricular activities for our kids, and the percentage of our disposable income DISPOSED on something other than charitable giving, becomes much much higher than the 2.4% donated on average by Christians. Lest you think this is only about church tithing, average charitable contribution By Americans (church giving or otherwise) according to their Federal tax returns filed in 2011 was about 2.1 percent of income. In actual dollars, the average was well less than $1200 per household, a number far far below what the majority of us spend on gourmet coffees, fast food, cable tv and data plans every year! (Urban Institute National Center for Charitable Statistics, November 2013) And what about serving others, sharing Jesus through selfless acts of love and benevolence? The Bureau of Labor Statistics reported in 2013 just a mere 1/4 (25.2%) of ALL Americans (Christians and others) volunteer their time throughout the year in some capacity. While it’s true that a large number of that 25% are “church goers,” it follows that well less than 1/4 of All Americans serving as volunteers in any capacity are actually Christians. And those are individual statistics. Perhaps you are relying on your government’s efforts to spread the love of Jesus, particularly those of us who live in politically conservative states touting family values as paramount. In Texas, in spite of an often prolific political platform of conservative Christian principles, they still have the 3rd largest teen pregnancy rate in the nation. (Huffington Post March 19, 2014). Recently (2013-2014), Texas lawmakers have attempted to legislate an enormous decrease in the number of abortion clinics in the state. However, the number of state supported pregnancy crisis centers (many of them faith-based) supposedly offering girls and women alternatives to abortion have been riddled with problems. An independent study cited multiple violations ranging from safety to breaching of client privacy, while at the same time, little attention was allocated to the medical or emotional needs of their clients. Subcontractors at these centers often work in “counselor” positions that require no special training or certification. (ThinkProgress.org 2011) In my own beloved Sooner state of Oklahoma, a marriage initiative launched by a very conservative state government to combat divorce and strengthen families in Oklahoma, has, by all perceivable accounts, been an epic fail. After 14 years and 70 million dollars, divorce increased to 13.5% in 2012 up from 11.6% in the year 2000. There is a state contracted company who made a LOT of money from this initiative. However, Oklahoma still has the 3rd highest divorce rate in the country (Oklahoma Watch November 2013) And that-in spite of its geographical position, squarely centered in the middle of the traditional American bible belt! I know the way I started this blog, seemed harsh, but I am inclined to end it the same way. If you have fish on your car or a cross on your wall, or a bumper sticker that confuses Christianity with condemnation, and yet you don’t feel the need to seek God with your family inside the very confounds of your home or in serving your own community, don’t talk to me about your right to pray at the football game on Friday night. At some point, we have divorced ourselves from common sense Christianity, from grace and mercy- and instead have aligned ourselves with politics inside and outside of the church. I don’t really care if you pray out loud at school. But I do care if you pray at home with your family. It’s time as Christians we lead the charge in applying the scripture to our own life. Get a mentor. Be a mentor. Start practicing in your own daily life, in your marriage, and with your children what you claim you believe. I am a high energy doer, spouse of a pilot, and mother of 3 young women. I have a Bachelor of Science in Criminal Justice and a Masters in Public Administration. I am a strong believer in the power of the pen, compassion, and generosity. I believe that positive parenting can raise world changers and therefore, change the world. Most importantly, I am a Jesus follower. Jude on What do we owe them? Tanja Berens on What do we owe them?